According to research institute Canstar Blue, the average reverse cycle air conditioner in Queensland uses around 27 cents per kWh. While that doesn’t seem a large figure, it’s worth remembering that costs can add up very quickly over time, particularly if you live in a location that experiences long hot summers. Running a split system for cooling four hours a day throughout summer is likely to add around $200 to your electricity bill. And if you have ducted air conditioning, expect to pay more for the luxury of running it during summer! So … are there ways you can reduce your power bills? Yes there are! 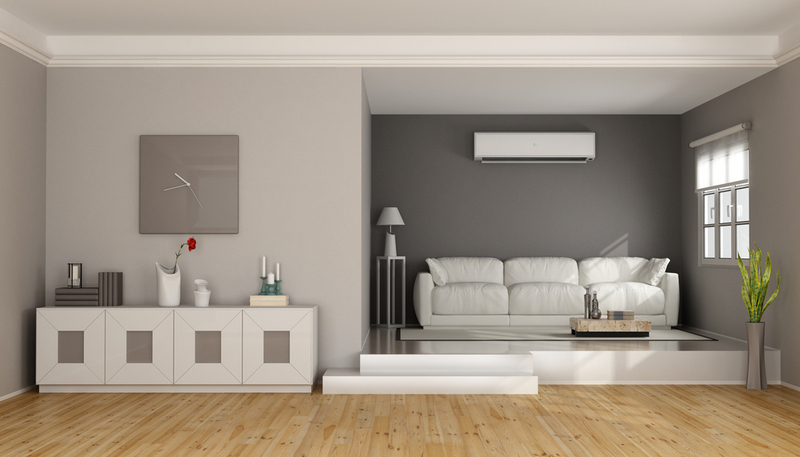 Here are top 10 ways to lower air conditioning costs this summer. Introduced in 1987, the energy star rating system is a label that’s required on various appliances in Australia and New Zealand, including on air conditioners that are for household use. The label essentially allows consumers to compare the energy efficiency of various systems and helps them work out how much power a particular model needs to run on. The ratings help make the process of working out an air conditioner’s efficiency easier, and can go a long way towards reducing electricity consumption and your power bills. In terms of reducing cooling costs, one of the easiest ways to reduce the impact of air conditioning on your power bill is to set your system at the most productive temperature and maintain that temperature consistently throughout the day. This will ensure your unit isn’t working too hard and increasing your energy consumption. Generally, the best temperature in summer is 24°C and sticking to this will ensure both you and your wallet stay comfortable! While it might be tempting to take advantage of both breezes and air conditioning at the same time, it can decrease your air conditioner’s effectiveness. And yes, that means increasing your power bill as well! To create the most ideal environment and lower air conditioning costs, close all doors and curtains and turn off any lights that are not in use. This will help to reduce heat absorption and make it easier for the system to operate, particularly in hot summer temperatures. Sometimes this one is easy to forget, however it’s an easy way you can save money on air conditioning. Ensuring your air conditioner is properly maintained will not only help it run better, it can save you money on your electricity bills. Filters should be cleaned and vents and exterior components dusted regularly. You should also book in a regular maintenance check with a professional. They will replace any filters, flush the drains, check the refrigerant, clean the ductwork, measure the airflow and check the motor’s efficiency. Insulation in the home can take many forms from adding roof and reflective insulation to installing thermal bridging and vapour barriers to a new home. Adequate insulation will reduce the work your air conditioner needs to do in order to cool an area and ultimately will lower air conditioning costs. This is obviously easier to control if you are building a new home, however, it’s also something worth considering if you are weighing up the pros and cons of renting a property. Yes, air conditioners are ‘nice to haves’, however there are other alternatives that may be worth considering if you are serious about reducing electricity consumption. Fans come in a range of styles from ceiling and pedestal fans to tower and desk fans. Evaporative coolers also work well in drier climates, and dehumidifiers, which work by refrigeration, can help to cool air as well. The amount energy companies charge for power depends on a number of factors and location is one of them. However, daily usage charges often vary around Australia, and energy discounts are available because of the competition between energy retailers following the lifting of price restrictions over the last 15 years. If you’re looking to save money on air conditioning, it’s worth knowing that many retailers will offer discounts if you meet certain conditions such as paying by direct debit and/or paying your bills on time. However, you do need to understand the fine print. Discounts are often only for a short period if you don’t meet the conditions you could be charged a fee, and some discounts are only applied to supply charges rather than usage charges. Because usage charges make up the majority of your bill, it’s worth checking with your supplier in terms of how the discount works. Although Queensland is behind other states in terms of the electricity discounts available, new energy companies have started to take an interest in our market since the lifting of pricing restrictions. The state government also become reinvolved in the market in 2017 with its joint venture with Alinta Energy and started to offer householders some of the cheapest deals in the market. The arrival of Alinta into the market seems to have helped put a downward pressure on prices with most retailers now looking to keep pace as households continue to make the switch in order to save money on air conditioning. Indeed, many retailers reduced electricity prices in July this year, albeit only slightly. However, the Queensland Productivity Commission still insists that deregulation will boost competition over time and help ease electricity prices and therefore the cost of living. Most of the electricity plans available in Australia are variable rate plans, meaning that the prices you’re charged can change at any time. Fixed rate plans allow you to lock in competitive prices now and potentially save money in the long run. However, they are less common and usually only offered by the bigger power companies. If you’re keen on reducing cooling costs, they may be worth considering though as locking in for one or two years with the same supplier may guarantee you price competitive plans. #10 – Do your research! Although Queensland has fewer electricity retailers than other states, you can still save money on air conditioning if you’re willing to do a little research. It’s really as simple as knowing what discounts you’re eligible for and what type of contract you’re on. There are two types of energy contracts in South East Queensland – a standard contract and a market contract. If you’re still on a market contract, you’re probably paying too much, so ask your retailer to move you on to their cheapest market offer. And even if you’re on a market contract, you might still be paying too much because often the cheapest deals have limited benefit periods and come with a range of conditions. Our advice? Keep careful tabs on your electricity bills, continually seek out competitive deals and remember, electricity prices don’t need to come down in order for you to save money. The increasing competition in the SE Queensland market will pretty much guarantee even more opportunities to save in the future. Sometimes it’s just about asking the right questions! Like to know more about lowering your air conditioning costs? Contact H&H Air Conditioning today on (07) 3276 1800.